Dowlas UK Ltd are pleased to present Enterprise House, a landmark office development at Weston Gateway Business Park. Enterprise House is an exciting commercial office space of some 25,000 square feet. The space is configurable across a range of smaller office suites from as little as 2,500 square feet to cater for SME’s or larger multi function offices. The design of the building is deliberately flexible to offer a range of sizes including 5, 10 and 15,000 square feet. Video gives a good impression of the wider Weston Gateway Business Park site, proposed and existing buildings. Enterprise House is currently in the planning stage, with outline planning having already been approved. The development will be enabled and built by Dowlas. The design for Enterprise House has been created by Angus Meek architects who are also responsible for the iconic design of the Pier in Weston. The building will be built to a high environmental standard of a BREEAM very good, ensuing lower energy bills for occupiers. What makes Enterprise House more significant a development is that it is the only grade ‘A’ office space scheduled for development in the Junction 21 Enterprise Area in the foreseeable future. Enterprise house tenants will be designated car parking spaces on take up. Businesses looking to locate to Enterprise House will have the flexibility to choose from 2,500 square foot space with leasehold options available circa £16.50 per square foot. This is a highly attractive offer for state of the art new office space, especially when compared to similar office space in central Bristol and the north fringe where businesses would have to spend £10/per square foot more than this. 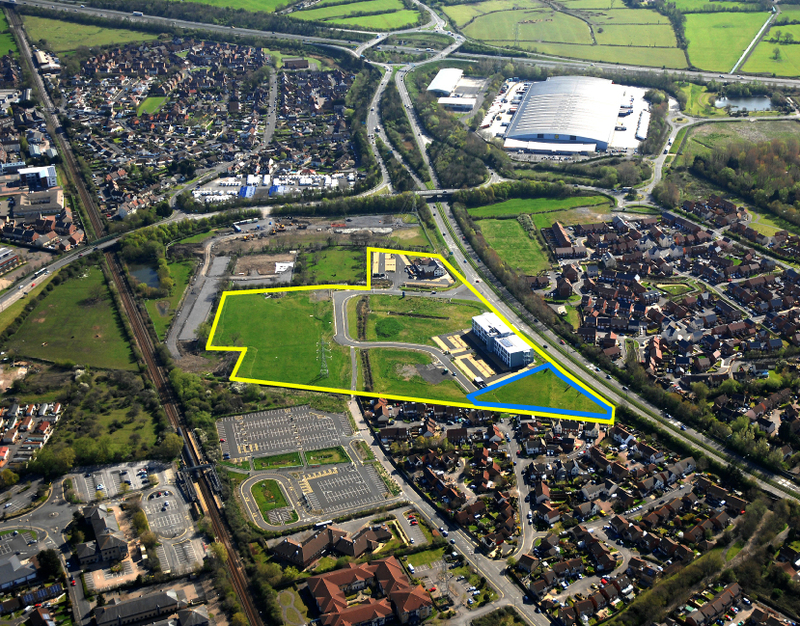 Weston Gateway Business Park provides immediate access to the M5 and to the centre of Weston-super-Mare. Enterprise House is a short walk from Worle Parkway mainline station providing regular services to Bristol (Temple Meads and Parkway), Cardiff, Taunton and London Paddington. More information can be found at http://www.j21.co.uk/relocating-to-j21.